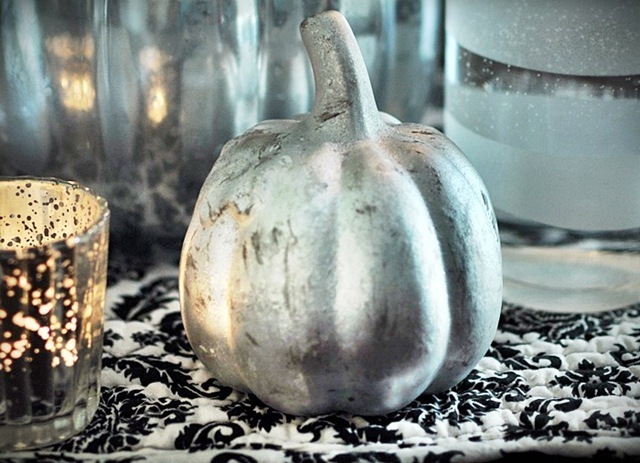 Make these dazzling faux mercury glass pumpkins this fall on the cheap! 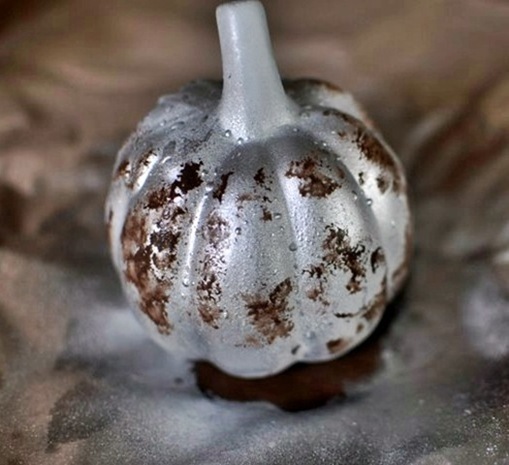 This DIY uses dollar store plastic pumpkins and spray paint. 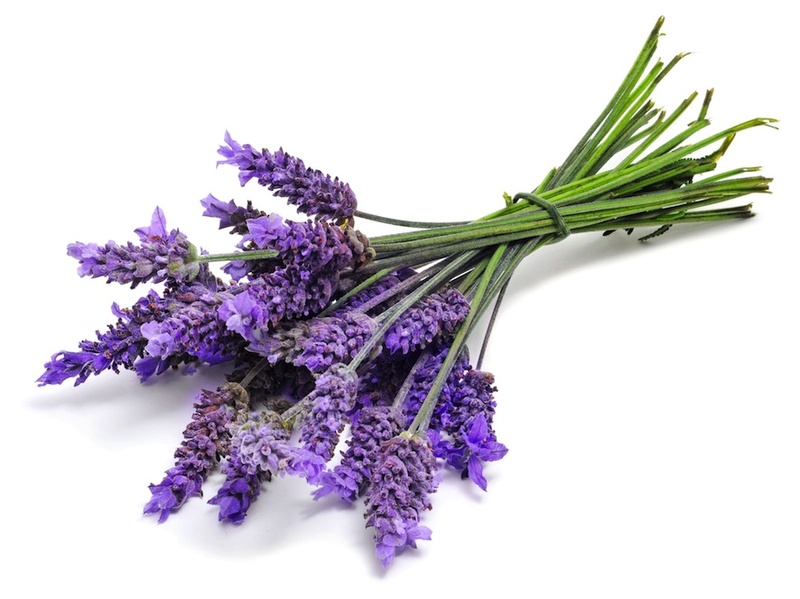 Make a couple of them to place on your mantle or stairway! 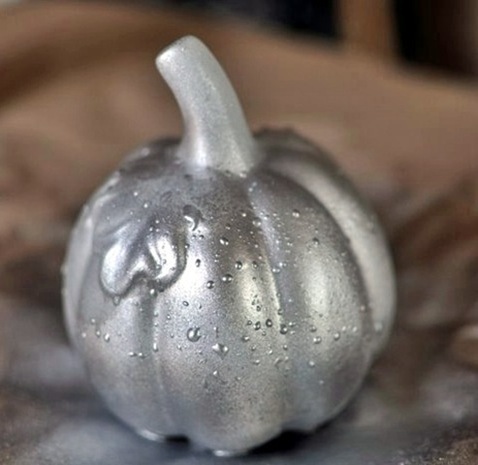 We’ve all drooled over those expensive mercury glass pumpkins from Pottery Barn, but we always turned them down because of the price. 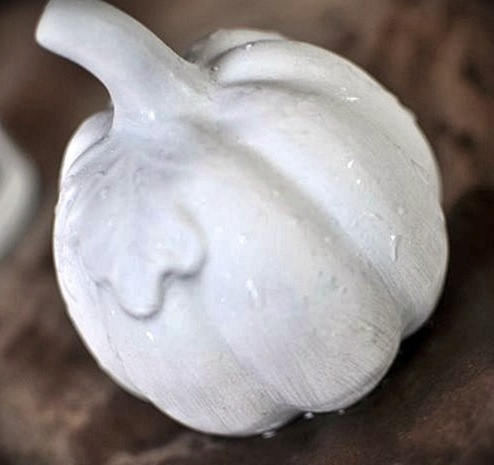 This year, make your own mercury glass pumpkins for a fraction of the price by simply going to your dollar store! 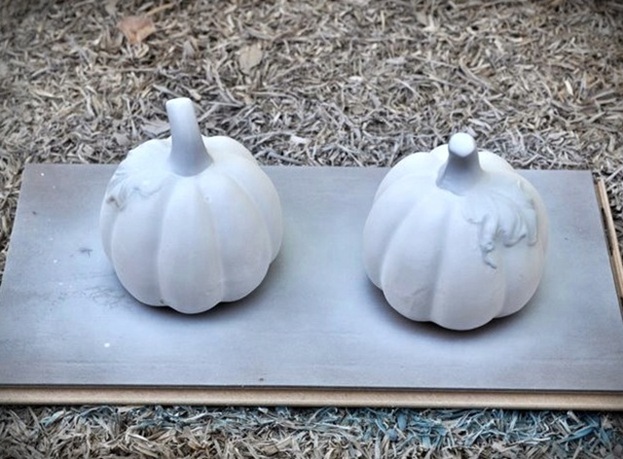 Spray paint the pumpkins with the matte white spray paint. Spritz the pumpkins with water. Spray 1 coat of metallic paint. Immediately after spray painting, take a foam craft brush and your burnt umber paint, and dab the paint on random areas. 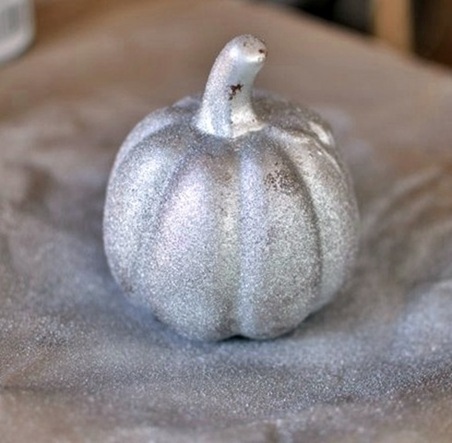 Using the metallic spray paint, spray short bursts of paint on the pumpkin. Using a napkin, wipe down random areas to let the burnt umber paint shine through. 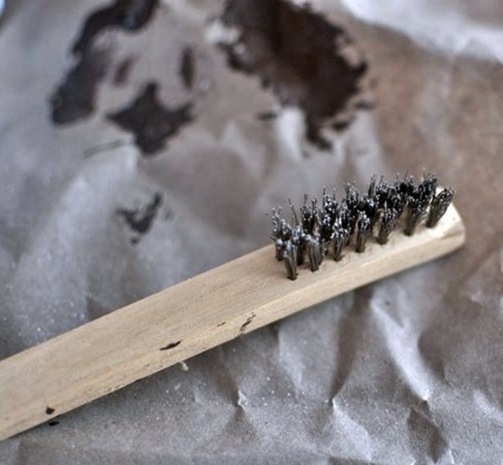 For a rougher look, scrape off the paint using a sanding brush. That’s it! 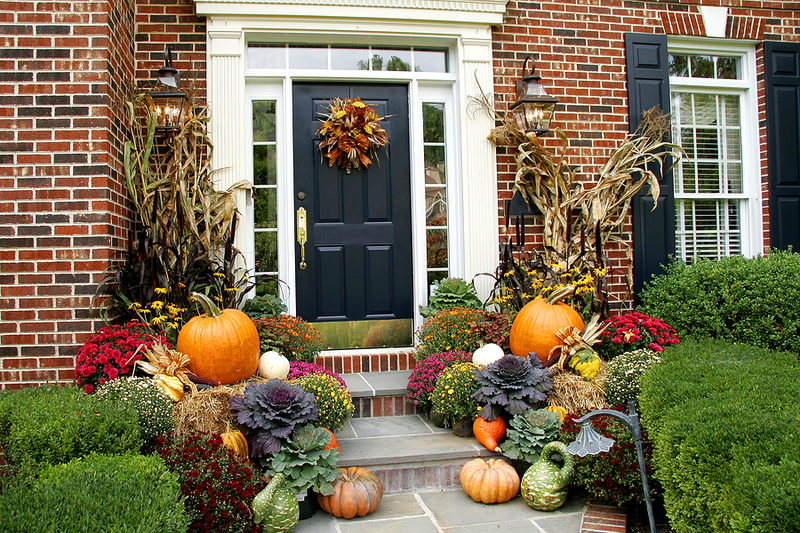 Now you can display your pumpkins on your mantel, kitchen table, staircase, or wherever you like! 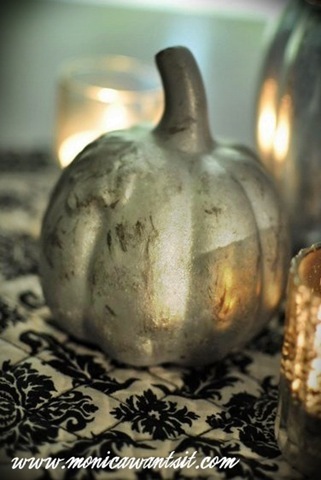 Arrange candles around the pumpkins so the light can bounce off! Photos and idea: Monica Wants It.